I read this on Sunday on the Post Secret blog. I've been thinking about it a lot this week. It causes me to love and relish the life that I have and the season that I'm living in right now. and cherish him even more. and enjoy every moment I have with each member of my family. Everything in life suddenly does become a gift. 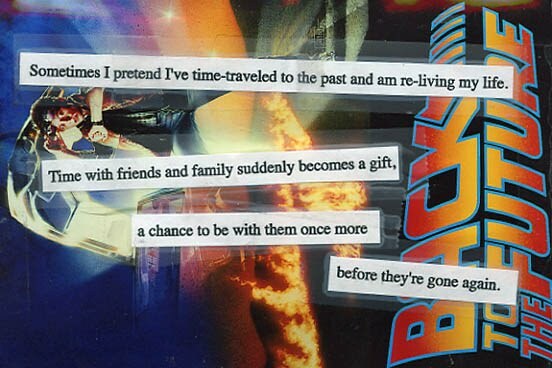 I highly recommend "pretending" you're a time traveler from the future this week. But no one has to know about it. It can be our little "secret"